The Coway AP-1512HH air purifier is equipped with a four-stage filtration system (pre-filter, odor filter, TrueHEPA filter, and Vital Ionizer), as well as an Air Quality Indicator – a feature typically only found on upper mid-grade and high-end models. With the Coway AP-1512HH Mighty Air Purifier, you can rest assured that you and your family are breathing in fresh, pure air – the AP-1512HH is able to remove 99.97% of all airborne pollutants down to just 0.3 microns in size. Washable Pre-Filter – The easy-to-clean pre-filter works to trap larger pieces of debris like hair, fur, and dust in its fine wire mesh screen. Odor Filter – Using activated carbon, the odor filter captures small particles, unpleasant odors, and harmful gases. TrueHEPA Filter – The TrueHEPA filter catches microscopic contaminants such as pollen, pet dander, and tobacco smoke, down to particles just 0.3 microns in size. Vital Ionizer – The AP-1512HH’s Vital Ionizer provides an extra boost to the unit’s purification by freshening the through the use of negative ions. With Coway’s color-coded Air Quality Indicator and their proprietary Particle Sensor Technology, you’ll never have to guess about the safety of the air in your home. 3-Stage air flow control means that you can choose the speed that’s right for your room size and air purification needs. Don’t worry about forgetting the replace the filter: the AP-1512HH’s Filter Replacement Indicator will alert you when it’s time for a change. When no airborne contaminants have been detected for 30 minutes, the Coway AP-1512HH Mighty Air Purifier will enter into its energy-saving Eco Mode. Rated to cover rooms up to 326 square feet in size. Great on your energy bill: the AP-1512HH is Energy Star-certified to use less than 78 watts at its highest setting. Worry-free thanks to Coway’s 3-year manufacturer’s warranty. Combined utilization of both TrueHEPA and carbon filters makes the AP-1512HH among the best air purifiers in its class. Convenient 1, 4, and 8-hour easy-set timer allows you to turn the purifier on and then forget about it. 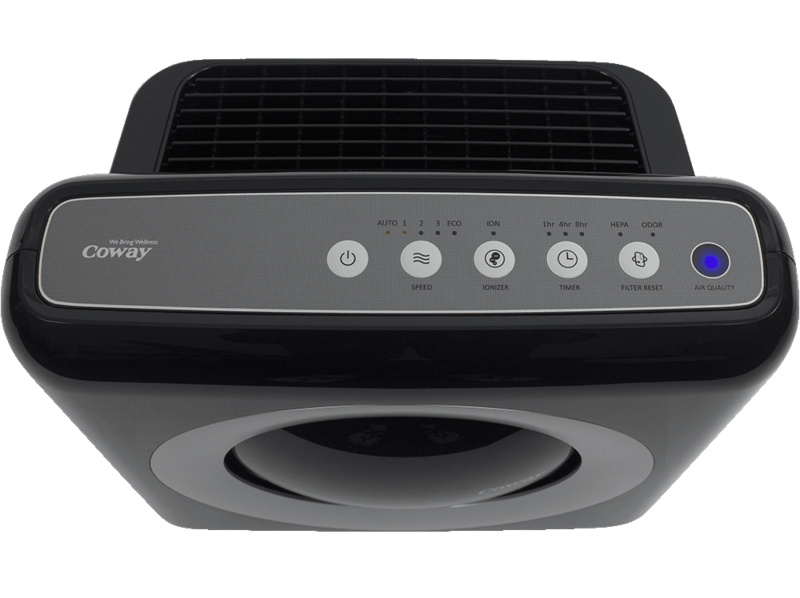 The Coway AP-1512HH Mighty Air Purifier has been certified by the California Air Resource Board as emitting little-to-no ozone – an unpleasant by-product of many lower-end purifiers. 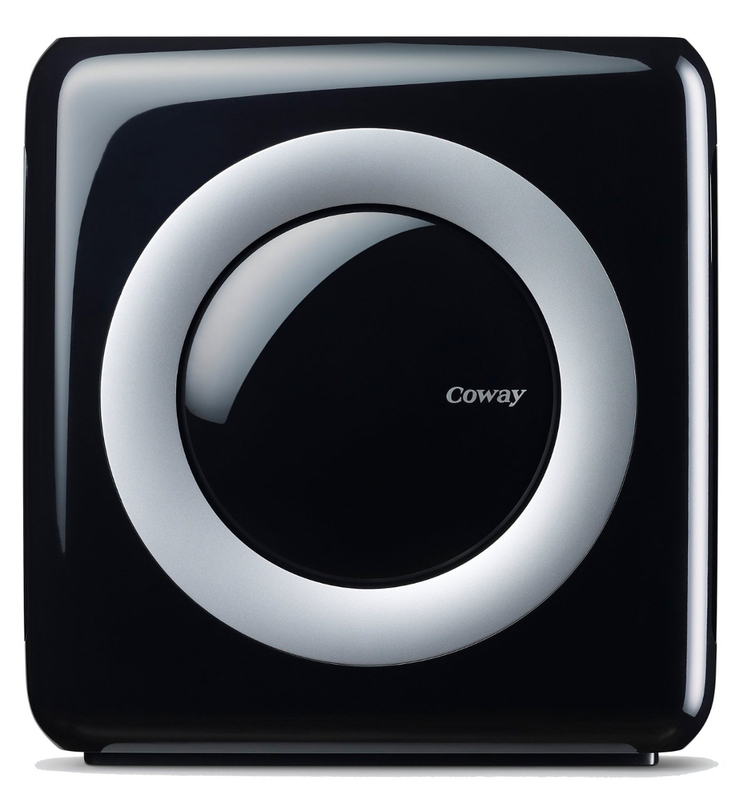 The Coway AP-1512HH is a great choice for anyone searching for a mid-sized air purifier. Among the most powerful purifiers in its class, the AP-1512HH is ideal for living rooms, garages, and larger bedrooms. While definitely one of the most stylish air cleaners on the market, this unit is also discreet enough to hide out of sight in most applications. 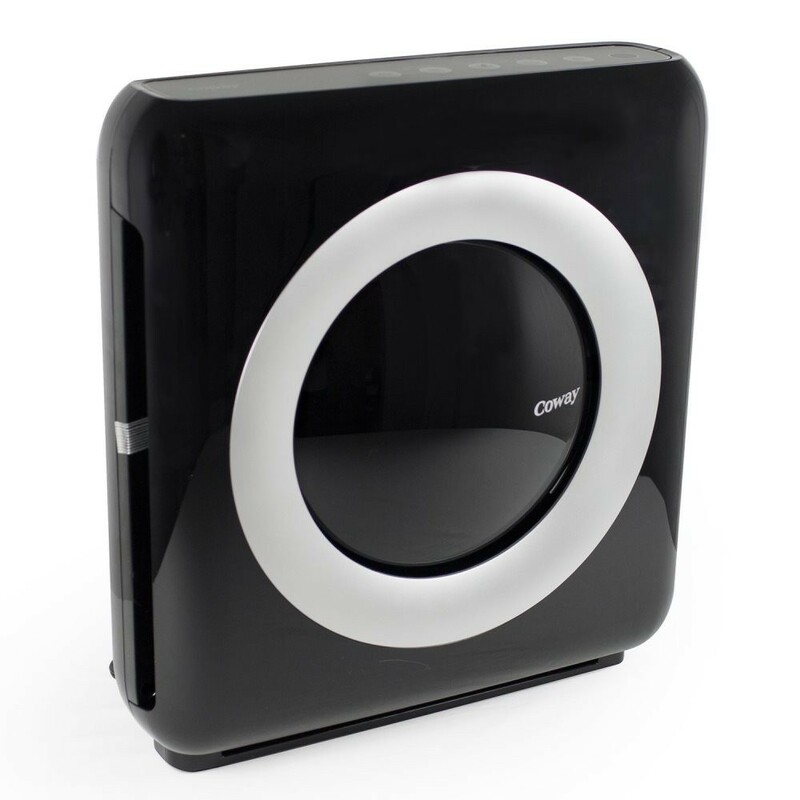 As far as room purifiers go, the Coway AP-1512HH is the best value mid-grade model out there. covers up to 326 sq.ft. BestAirPurifierForAllergies.com is a participant in the Amazon Services LLC Associates Program, an affiliate advertising program designed to provide a means for sites to earn advertising fees by advertising and linking to amazon.com. In addition to our affiliation with Amazon, BestAirPurifierForAllergies.com may also earn commission for purchases made through some, but not all, of the other links on the site.